Worthington woman accused of stealing a mailbox from property on 157 north of Bloomfield — The Worthington Times. A Worthington woman, arrested in late February and accused of stealing a couple of Cadbury Cream Eggs from a store in Bloomfield, has been arrested again. This time she’s accused of stealing a mailbox from a property on State Road 157 north of Bloomfield. 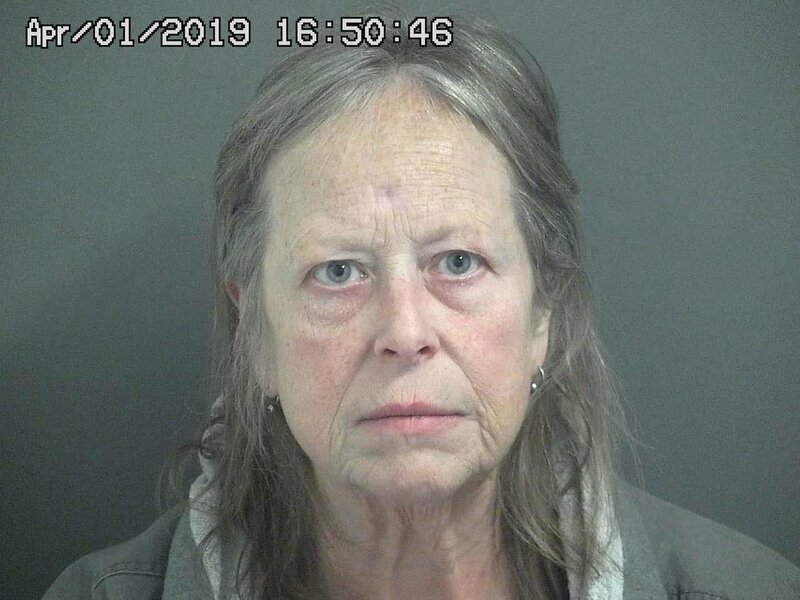 Dawn Melody Herr, 60, Worthington, was arrested on Monday, April 1, by Greene County Sheriff’s Deputy David Elmore after a warrant was issued for her arrest as a result of an investigation by GCSD Deputy Jordan Gooding. Deputy Gooding responded around 10:50 a.m. Wednesday, March 20, after a neighbor called the sheriff’s department to report a theft had occurred at 2980 North State Road 157. The caller said they watched a white station wagon pull into their neighbor’s driveway, then saw a woman get out of the vehicle, pull the neighbor’s mailbox up out of the ground and load it into the vehicle. The neighbor provided the deputy with two photos taken of the woman and the station wagon which showed the woman putting the mailbox into the station wagon. Gooding said the vehicle appeared to be a white Ford Taurus station wagon. The neighbor then showed the photos to some other people to see if they could identify the woman and they did. The neighbor called back into the sheriff’s department around 12:40 p.m. and said someone recognized the woman as Dawn Herr. Deputy Gooding then ran a records check on vehicles owned by Herr and got a return of a 2005 white Ford Taurus station wagon. Gooding then went to Herr’s residence at 112 Meridian Street in Worthington but he did not locate the station wagon or Herr. He also went to the residence of one of Herr’s family members and to Herr’s former residence with no luck. Then around 1:50 p.m. that same day, GCSD Det. Shawn Cullison notified Deputy Gooding that he was following behind Herr as she was driving the station wagon and pulling into a parking lot in Bloomfield. When Gooding arrived to talk to Herr, the officers saw the mailbox was in the back of her vehicle. Gooding said Herr told him she used to live on North SR 157, went there to pick flowers and found the mailbox in a ditch so she took it. But Gooding said the mailbox was not taken from her former address but from another property on the highway. Gooding then informed Herr of the photos that were taken and she said she didn’t want to see them. She then allegedly said she couldn’t get the mailbox out of the ground at her old house and admitted she was going to take the numbers off the stolen mailbox and put it at her new residence in Worthington. Deputy Gooding seized the mailbox and returned it. He reported the wood post of the mailbox had wet mud on it where it had been removed from the ground which he said contradicted Herr’s story that the mailbox was lying in a ditch. Gooding noted Herr has a prior conviction for both theft and conversion. She also has another case pending against her. She’s been charged with felony theft in the prior case for allegedly stealing a couple of Cadbury Cream Eggs and a package of Turtle Bites from the CVS Pharmacy in Bloomfield back on February 15. In the latest case involving the mailbox, Herr’s bond was set at $4,000 surety with ten percent cash allowed. She was released on the same day as her arrest after she posted $400 cash. When she appears for her initial hearing next Monday afternoon, April 8, she will be formally charged with theft with a prior conviction for either theft or conversion, a Level 6 felony.